BD 43/25 C Bp 15154000 https://www.kaercher.com/ge/professional/floor-scrubbers-scrubber-dryers/scrubber-driers/walk-behind-scrubber-driers/bd-43-25-c-bp-15154000.html Battery-powered and economical: the BD 43/25 C scrubber drier with disc technology cleans up to 1700 m²/h. For basic and maintenance cleaning of areas up to 900 m². 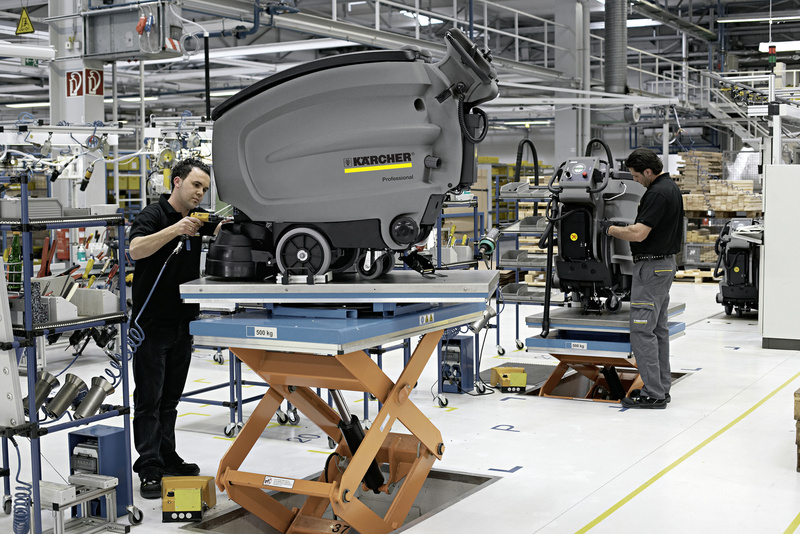 Battery-powered and economical: the BD 43/25 C scrubber drier with disc technology cleans up to 1700 m²/h. For basic and maintenance cleaning of areas up to 900 m². Compact, manoeuvrable, whisper-quiet and easy to operate: these are the outstanding features of the DB 43/25 C walk-behind battery-powered scrubber drier with disc technology, 43 cm working area and 25 litre tank volume. This machine is ideal for small and very cluttered areas, easy to use and offers a clear view of the area to be cleaned. The BD 43/25 C with EASY-Operation system and yellow control elements is easy to operate also by untrained operators. The machine is also easy to clean. 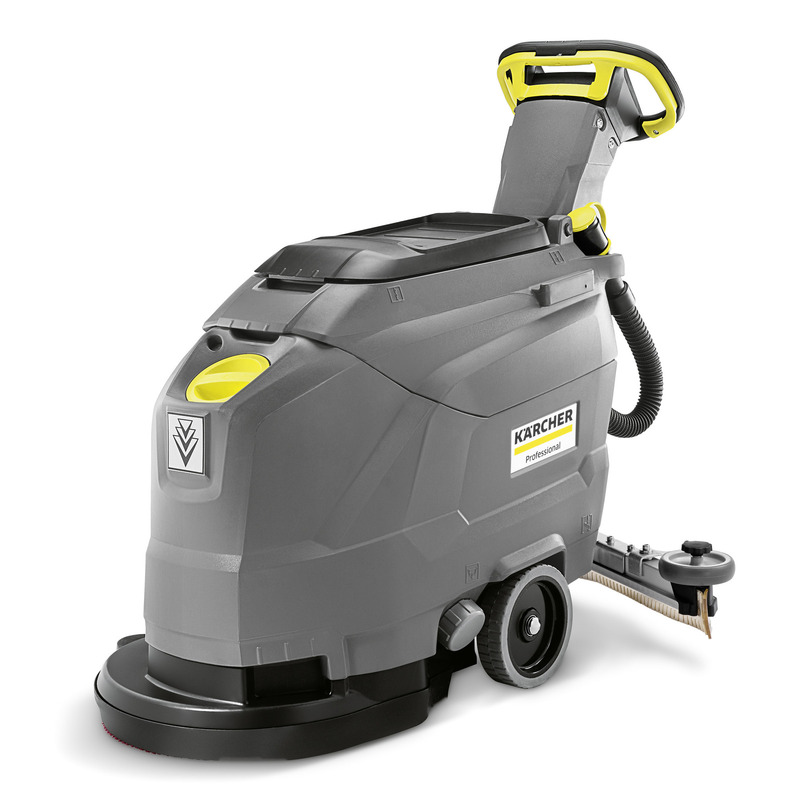 We recommend this machine for efficient basic and maintenance cleaning of areas up to 900 m². Straight or curved squeegees are available and can be ordered separately. Designed for daily use. Robust, durable, reliable machine. Self-explanatory symbols and clear control panel. Brief familiarisation phases. Simple, yellow colour-coded control elements make the machine easy to use. Extremely manoeuvrable machine. Clear view of surfaces to be cleaned. Easily accessible battery compartment for battery replacement. Also suitable for multiple shift operation. Options for the attachment of hooks, containers, mop, etc. Additional cleaning utensils can be carried on-board. Reduced to the most important features. Yellow control elements simplify operation and reduce teach-in time. Can be adjusted to suit prevailing floor conditions through the selection of squeegees.